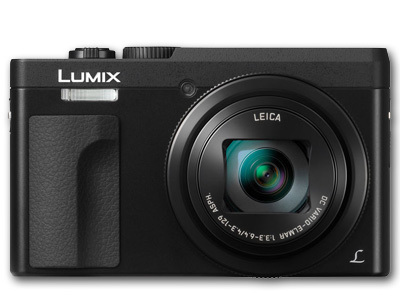 A pocketable multimedia powerhouse, the black Lumix DC-ZS70 Digital Camera from Panasonic blends a sleek form factor with versatile stills and video capabilities. Revolving around a 20.3MP 1/2.3" High-Sensitivity Live MOS sensor, the ZS70 realises rich image quality with low noise and sensitivity to an extended ISO 6400 for working in difficult lighting conditions. The sensor and image processor also enable shooting continuously at up to 10 fps with single-shot AF, 30 fps at 8MP in 4K Photo Modes, and UHD 4K video recording at 30p. The 4K capabilities also permit working with unique Post Focus technology for choosing a specific point of focus after shooting. Beyond the imaging abilities, the ZS70 is also characterised by its impressive 30x Leica DC Vario-Elmar zoom lens, which covers a 24-720mm equivalent focal length range, as well as 5-axis HYBRID O.I.S. to minimise the appearance of camera shake for sharper handheld shooting. Also notable is the camera's compact size and incorporation of both a 1.166m-dot electronic viewfinder and 3.0" 1.04m-dot tilting touchscreen LCD. Additionally, built-in Wi-Fi allows you to wirelessly share imagery or remotely control the camera from a linked smartphone or tablet. A 20.3MP 1/2.3" High Sensitivity MOS sensor helps to realize rich image quality with reduced noise and high sensitivity to an expanded ISO 6400. The imaging and processing capabilities also avail continuous shooting rates up to 10 fps in single-shot AF mode, 5 fps with continuous AF, or 30 fps at 8MP in the 4K Photo modes. Leica DC Vario-Elmar 30x Zoom Lens A truly expansive 30x Leica DC Vario-Elmar zoom offers a 24-720mm equivalent focal length range along with a maximum aperture range of f/3.3-6.4. The lens construction incorporates five double-sided aspherical elements to minimise spherical aberrations and distortions throughout the zoom range for increased image clarity and sharpness. Benefiting the long reach of the lens is a powerful 5-axis Hybrid O.I.S. system that compensates for a variety of camera movements for sharper handheld shooting in difficult lighting conditions. This image stabilisation system also enables a unique Level Shot function that automatically detects the horizontal line of the recording image and keeps it level during shooting, regardless of camera tilt, helping to achieve greater shooting stability. The sensor and processor combination also enables 4K video recording at 30p in the MP4 format at 100 Mbps. 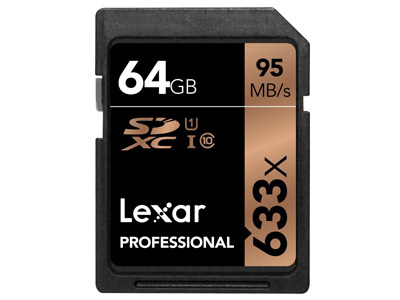 Full HD 1080p and HD 720p recording is also possible, as well as high-speed HD and VGA recording with 120 fps and 240 fps slow-motion playback, respectively. Another attribute of the 4K capabilities is a unique focusing method called Post Focus. Working in conjunction with the contrast-detection focusing system and the intelligent Depth from Defocus (DFD) technology, Post Focus records imagery as a 4K MP4 file at 30 fps and shifts the specific point of focus throughout the burst shooting in order to offer a range of distinct focusing ranges to choose from. During playback, via the camera's touchscreen, you can then tap the specific region of the image you wish to be in focus and an 8MP JPEG file will be created. Multiple individual files with different points of focus can be created from the original burst, and focusing assist functions can also be used to gain even more precise control over the specific in-focus region. This technology also allows for producing focus stacked images in-camera to realise a greater depth of field, especially when photographing close-up subjects. In this mode, images are recorded and saved with varying points of focus and then blended together to gain an extended depth of field. A Live View Finder (LVF) is integrated into the sleek body design to permit comfortable eye-level monitoring. This electronic viewfinder has a 1.166m-dot resolution and covers 100% of the image frame while shooting. Alternatively, a rear 3.0" 1.04m-dot touchscreen LCD monitor is also available for live view shooting, image review, and intuitive menu navigation. The screen's design incorporates a 180° tilting mechanism to benefit shooting from high and low angles, as well as for taking front-facing selfies. A micro-USB port allows you to charge the battery in-camera. The included rechargeable lithium-ion battery provides you with 380 shots per charge when working with the rear LCD or 250 shots per charge with the electronic viewfinder. Built-in Wi-Fi allows you to wirelessly share photos and movies to linked smartphones and tablets for direct sharing online. This connectivity also allows you to remotely control the camera from a mobile device. Photo Style modes: Standard, Vivid, Natural, Monochrome, Scenery, Portrait, and Custom. Picture Adjustment settings: Contrast, Sharpness, Noise Reduction, and Saturation.